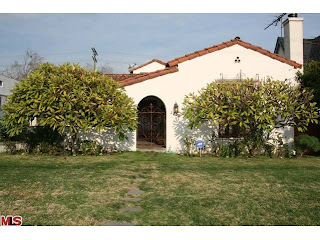 The home at 2206 Overland Ave., LA CA 90064 lasted 134 days on the market before receiving acceptance on 10/21/10. Listed on 2/3/10 for $919,000, the home received 3 price reductions during the listing term, ending at $725,000. The property spent about 4 months in escrow, starting in May, only to come back to market in the middle of September. When the property returned to the MLS, it was now an approved Short Sale. 2206 Overland Ave closed on 2/18/11 for $775,000. According to the MLS, the home is a 4 bedroom / 1.75 bath, 2,054 sq ft of living space on a 6,750 sq ft lot. In typical Overland Ave fashion, you get alot of house for the money compared to being off the busier street. Previous purchase price was $875,000 in 2005.